Check if the respective ASIN can be found for the desired keywords and keywords. Check with a single click, to which components of title, description and bullet points the respective ASIN can be found. Right-click on a word or phrase to see if the ASIN is indexed to that keyword. 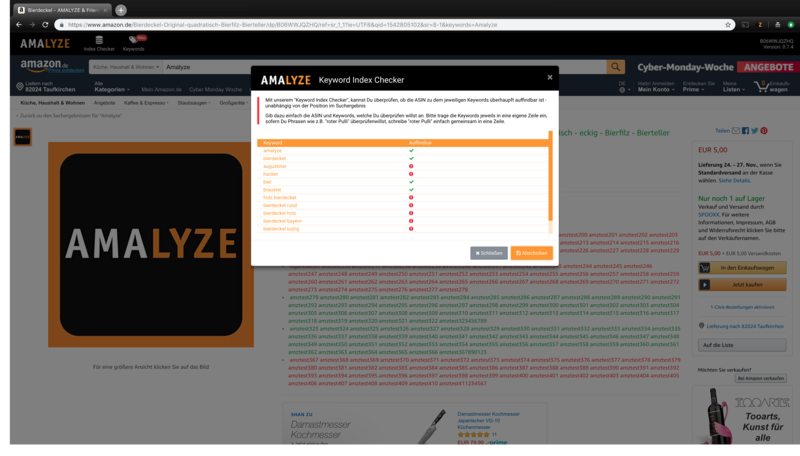 Especially with very recent listings, it is sometimes helpful to check in the first days of the “life cycle” to which keywords the product is already found and which parts of the on-page content (title, bullet points and description) Amazon already “understands”. The review is very simple. 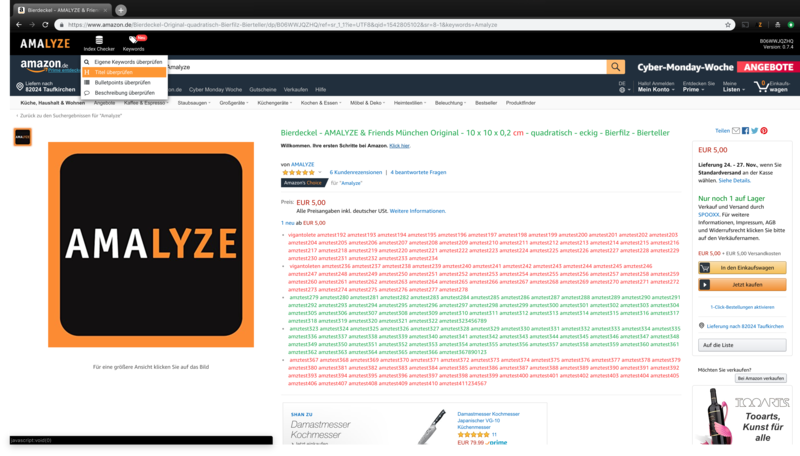 Open the detail view of the product on the Amazon marketplace of your choice and then use the menu on the left side of the extension. Please make sure that the correct ASIN is checked for parent / child combinations and that you do not stay on the parent. The parent product does not link to a keyword. The extension is completely browser-based and will mark all the words that your (or) product is already found in green. Similarly, all words that are not found on the ASIN on the Amazon Marketplace will be marked in red. Additionally, you have the option to check if the ASIN is already found for a particular keyword or combination of keywords. To do this, simply select the menu item VERIFY YOUR OWN KEYWORDS and enter one or as many words as you want in the input field. A line here corresponds to a search query. As soon as you submit the request, you will receive the result immediately. A position determination regarding ranking does not take place. 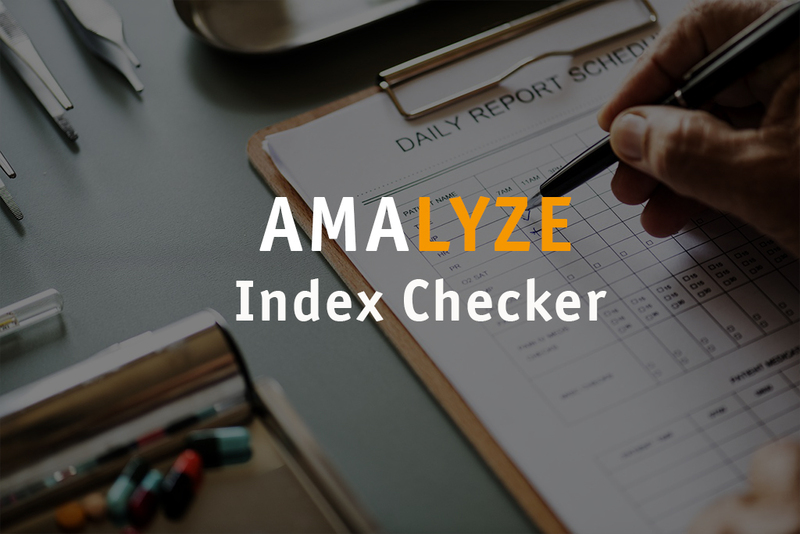 You can do this in the AMALYZE Toolbox.